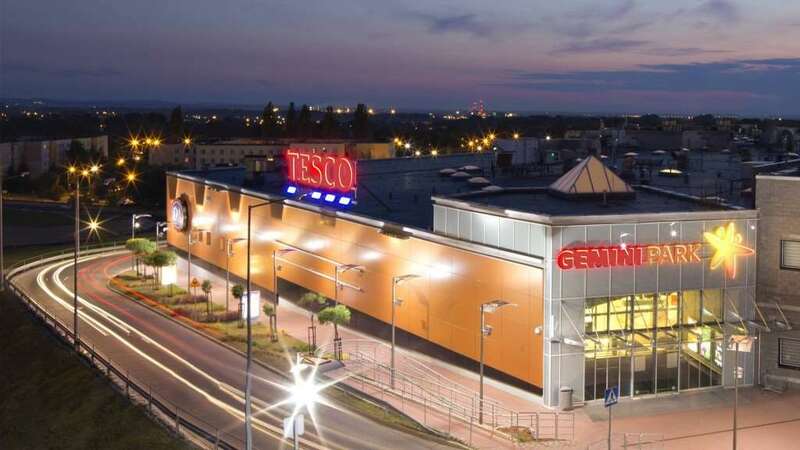 Gemini Park Tarnów is a modern and the biggest Shopping Centre in Tarnów and in the region. The facility is located in the north of Tranów. Over forty-two thousand square metres are the venue of 120 stores, service points and catering establishments. The centre offers respected brands new to Tarnów. Major tenants of the Shopping Centre include large-surface markets: Tesco, Castorama and Media Markt. The list of tenants also includes; Stradivarius, Orsay, Monnari, Reserved, Mohito, Sinsay, Ochnik, C&A, Sizeer, Martes Sport, Levi’s, Mustang, House, Cropp, Diverse, Intimissimi, Calzedonia, Empik, Apart, Yes, W. Kruk, Smyk, Gino Rossi, Bytom, Badura, Ryłko, Wojas, Deichmann, Swiss, Giacomo Conti, Hebe, Douglas, Rossmann, Jysk, KIK, home & you, Tchibo, KFC, Sphinx, Pizza Dominium, Grycan and many others. It also is the venue of local and regional producers and service providers. Gemini Park Tarnów has excellent location and perfect transportation solutions. It offers a parking lot for over a thousand cars, which is equipped with a modern system informing about the availability of parking places, and there are urban and suburban bus stops near the Shopping Centre. Gemini Park Tarnów also offers many facilities for families with children and for persons with disabilities. Gemini Park Tarnów is more than just luxurious stores and attractive shopping opportunities. It’s also a certain philosophy of action. That philosophy consists in meeting the expectations of the local community and supporting charities as well as cultural and sports initiatives. Cooperation with the ‘SIEMACHA’ Association on preparing a care facility for children is an example of a socially responsible business. 2011 – A special prize of the Shopping Center Awards for the activity in the CSR sector. 2012 – Social Responsibility Award – a prestigious distinction for the involvement in social responsibility of business. Finally, Gemini Park Tarnów is a shopping centre of a family nature, where everyone will find something for themselves. The creators of Gemini Park Tarnów wanted to create a space and organize a place, where the entire family can spend their time in an attractive way.